A 28-foot-wide opening created by the removal of the corner of the pre-existing building will be equipped with an expansive glazed curtain wall spanning the height of the building and featuring the main entrance. Brooklyn Bridge Park Corporation (BBP), general contractor Stalco Construction and architect Architecture Research Office (ARO) have begun an extensive renovation and conversion of a former New York City Department of Environmental Protection (NYCDEP) maintenance building into a Brooklyn Bridge Park environmental education, community and maintenance facility. The building, located at 99 Plymouth St. in DUMBO, will include an environmental education classroom, which will be operated by the Brooklyn Bridge Park Conservancy. The ceremonial groundbreaking event, attended by community leaders and borough, city and state politicians, included demolition of a section of the building to make space for a new glass wall that will open the interiors to the surrounding park. The ceremony culminated in BBP President Regina Myer, New York state Sen. Daniel Squadron, New York City Councilmember Stephen Levin, Brooklyn Borough Director of Capital Budget and Economic Development Kai Feder, BBP Conservancy Executive Director Nancy Webster and Stalco Principal Kevin G. Harney and Project Manager Keith Ward demolishing a part of the wall with sledge hammers. The event marked the beginning of the main phase of the project, which is scheduled to open in the summer of 2015. “Brooklyn Bridge Park is a modern urban marvel, both in design and in creative use of our waterfront. I’m pleased to see progress move forward on this next phase that will advance the educational and community-building aspects of the park,” said Adams. “Upon completion of the $3.6 million renovation, the building will serve the entire 85–acre Brooklyn Bridge Park, one of Brooklyn’s most popular outdoor areas,” said Harney. 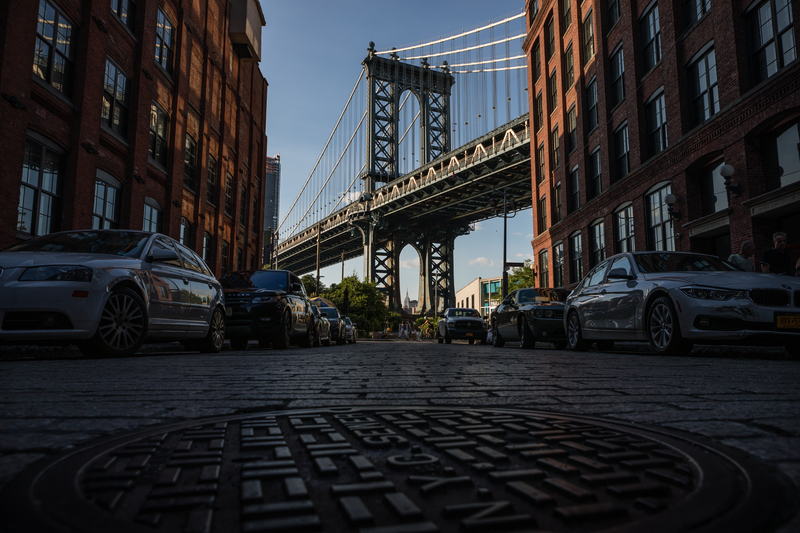 “The structure is located on a 10,650-square-foot site situated directly beneath the Manhattan Bridge in Brooklyn’s trendy DUMBO neighborhood,” he added. The building’s exterior will feature a glass and aluminum curtain wall and main entrance, with a portion of the wall constructed of soundproof glass. Stalco will build a new access door, windows and a garage-type door in the brick wall of the building to provide access to a new compactor room. The upgrades will include a new reflective EPDM roof and new mechanical, electrical and plumbing systems. The project’s challenges will also include incorporating significant changes to the building’s structure. The renovated, 11,300-square-foot. building will house a 300-square-foot community room with a display area, an 800-square-foot classroom for environmental education programs, a BBP maintenance space, a kitchen, two public bathrooms, a locker room and a basement storage area. The interior finishes will include polished and sealed concrete floors, painted gypsum board walls and porcelain tiles in the bathrooms. The environmental education classroom will feature a large aquarium and a “touch” water tank for interaction with marine animals. In addition to Stalco Construction and Architecture Research Office, the project team includes owner’s representative Gardiner & Theobald, structural engineer Robert Silman Associates, MEP engineer AltieriSeborWieber, civil engineer Sherwood Design Engineers, lighting designer Lighting Workshop and landscape architect Michael Van Valkenburgh Associates. Landscaping and site improvements will be performed under a separate contract.